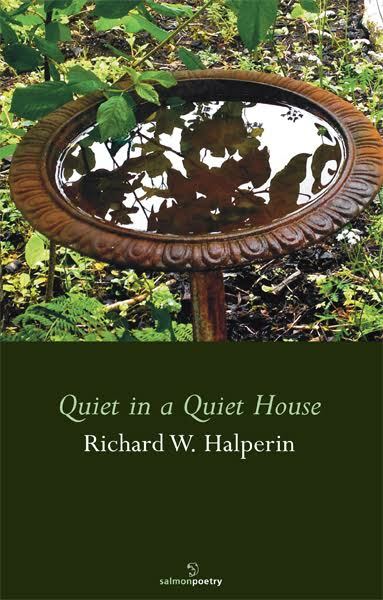 Richard W. Halperin’s uniquely conversational poetic mode is known to those who have followed his ‘late arrival’ beginning with the seminal Anniversary (2010, Salmon Poetry). Quiet in a Quiet House is his third book, and could be read as the final part of a trilogy and yet the book cuts its own clear measure. Modestly titled, yet profound in its created spaces, trawling and pitch, it appears to have a root in Gaston Bachelard’s observation of the house sheltering day-dreaming, imagination and ultimately, in a Quiet House, allowing one to dream in peace. Like all great artists, Halperin makes no distinction between the living and the dead. He metronomes between the two, making a music that leaves us enriched and stopped in our tracks. But I had no word, the house was empty. Richard W. Halperin, an Irish/U.S. dual-national, is widely published in journals and magazines in Ireland and the U.K. His first-prize poem ‘Snow Falling, Lady Murasaki Watching’ is on permanent display in the Hawk’s Well Theatre, Sligo. The collections Shy White Tiger and Anniversary, respectively 2013 and 2010, are published by Salmon. The latter book appeared in Japanese translation in 2012 (Kindaibungei-sha Press, Tokyo), and has recently been translated into French under the title Présence. Four chapbooks have been published by Lapwing, Belfast, the latest entitled Blue Flower. 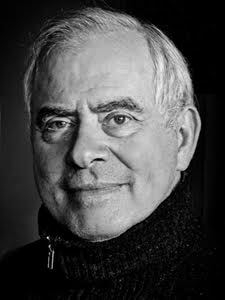 Mr Halperin debuted as a reader in 2006 at Glenstal Abbey and at Glencree Centre for Reconciliation, and has since read at most major venues in Ireland. He has begun giving bilingual readings in Paris, where he lives. Before retirement from humanitarian work in 2005, he was chief of section for teacher education, United Nations Educational, Scientific and Cultural Organization. There he edited Reading and Writing Poetry: The Recommendations of Noted Poets from Many Lands on the Teaching of Poetry in Secondary Schools (UNESCO, Paris, 2005), downloadable gratis from the internet in English, French and Spanish. Mr Halperin holds a Ph.D. in English Literature from the City University of New York. Quiet in a quiet house is a good thing. To stuff the panic back. She should be which is why the house is quiet. It’s Christmas Eve. Snow outside falls softly. Of quiet. The ear adjusts, like a cowed dog. the best thing that ever happened to it.